Manganese deficiency in plant determined by test, observation, or known nutritional needs of certain plants and/or systems. 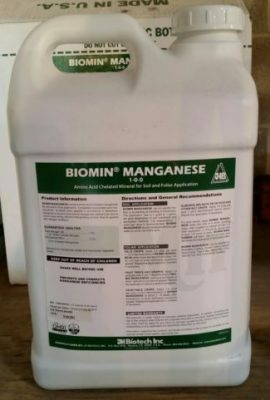 Biomin amino acid chelated manganese provides easily absorbable and “plant friendly” manganese for immediate use by the plant. Liquid formulation, readily absorbed and utilized in the plant through foliar applications and/or drip irrigation.